On first listen, White Wave Chapel will have you tapping your heels together one minute and getting lost in Louise Holden’s beautiful harmonic tones the next. This five piece Dublin outfit of accomplished players have brought everything to these sessions and it’s easy to fall in love with this album. And like any love that’s worth its measure you’ll want to go deeper to find out more. Underneath the well-crafted melodies are tales of a darker nature told so well that you’ll happily sing along with infectious choruses, celebrating the death of an oppressor or a fading love that should have been put out of its misery long ago but fear kept the trigger from being pulled. There is also great joy wrapped up in this album too. ‘O My Honey’ and ‘Bread and Butter’ will make you jump up and grab a partner to swing around the dance floor like a whirling dervish. This multi-layered album will have American artists looking to Ireland for new influences as its fresh style should take America on and give it a big cheeky Irish kiss on its lips. 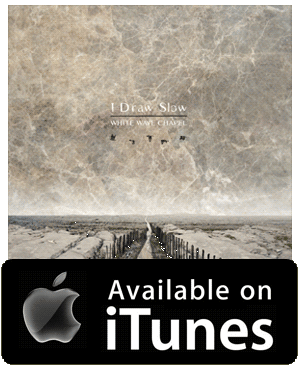 I Draw Slow have brought together Americana, Bluegrass and Irish Folk so seamlessly that you’ll swear that it has always been that way.